This Wednesday, PapiBlogger will join Hispanicize and several Latino bloggers as co-hosts for the first Hispanicize Twitter Party of 2011, sponsored by Sprint. 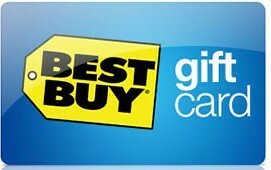 Of course, you don’t even have to ask: there will be nearly $1,000 in phones and Best Buy gift card prizes! Appropriately, the topic of the party is the SUPERBOWL taking place Feb. 6 between the Pittsburgh Steelers and the Green Bay Packers but don’t my dear readers because you don’t have to know anything about football to win the fabulous prizes! No matter how or who you spend the Superbowl with, the one thing we KNOW is that you will have your smartphone with you. On Twitter, Facebook, via text, or on a call, you will cheer, gloat, or bemoan your team’s play that day. We know. We feel you. That’s why Sprint ID is important. It allows you to personalize your phone’s ringtones so you can avoid that annoying yapper. It also lets you add wallpaper to differentiate your phone from everyone else’s phone. You’re not a plain Maria, or Carlos for you men out there, so why should your phone be? As for those of you who are dragged along and couldn’t care less about the Superbowl, shame on you! LOL No seriously I TOTALLY understand. I’m not a football fan myself, but my family is, which means I NEED to keep myself entertained while they watch the game. 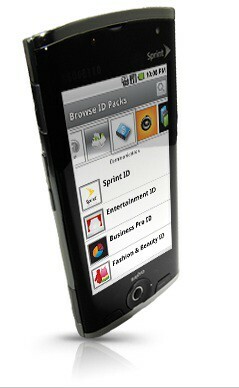 Thankfully, Sprint ID offers that entertainment via widgets and more. But don’t take my word for it, check it out yourself and click HERE. After you do, make sure you RSVP below and join us on January 26, 2011. You could win one of the great prizes shown below! NOTE: You MUST RSVP below to participate. Unsure how to join, read my Twitter Basics post. Winners will be chosen with random.org from those who RSVP and are answering Superbowl Twitter Party questions, while using the #hispz hashtag. Open to US Residents ONLY. Post Office Box addresses are not allowed. Don’t forget to thank our Sponsor: Sprint! Till Wednesday! / ¡Hasta el miércoles!